We review hazards at your facility through blue prints, satellite imaging or a site visit. We will also help you determine which OSHA regulations apply to you. We create a site specific project plan and proposal for your facility. Our engineers create a CAD Model from aerial site images. Then we provide project costs. Our manufacturing team builds your passive fall protection in-house, so all our products are 100% made in the USA. CAD Models act as an installation guide, that can be completed by our certified team or your own employees. PARTNER WITH US FOR PEACE OF MIND. Engineer away your fall hazards, and engineer in peace of mind with Safety Rail Company. We manufacture 100% made in the USA, OSHA Complaint safety products designed for your complex industrial environment. Our turn-key solution includes no cost CAD project planning and quotation, custom fabrication services, and certified factory installation teams. Whether you have one location, or multiple facilities nationwide, we are your partner for every step. 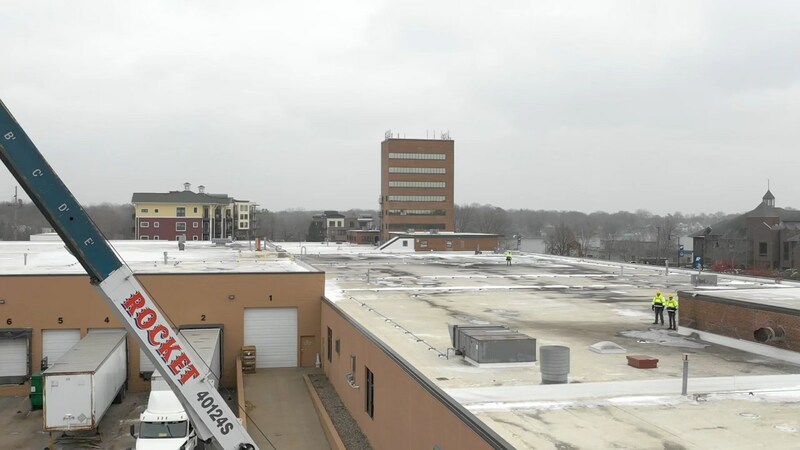 Safety Rail Company makes OSHA-compliant fall protection safety railings and guard rail systems that are durable and innovative, yet affordable. With years of industry experience, Safety Rail Company fall protection products are engineered first and foremost to save lives. Download Avoiding the Fallout: How a Safety Plan Saves You from Falls, Fines and Fatalities to learn to how prevalent workplace fall accidents are, how costly they can be and how safety compliance managers should address them so they don't cost your business. 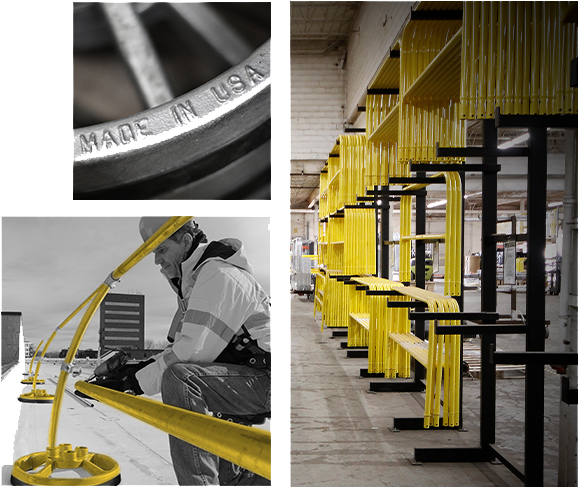 Safety Rail Company is a manufacturing company comprised of innovators, engineers and problem solvers dedicated to offering high-quality, 100% made in the USA passive fall-protection solutions for life and compliance. Your partner at every step.